Bankruptcy Risk or Bankruptcy Cost? 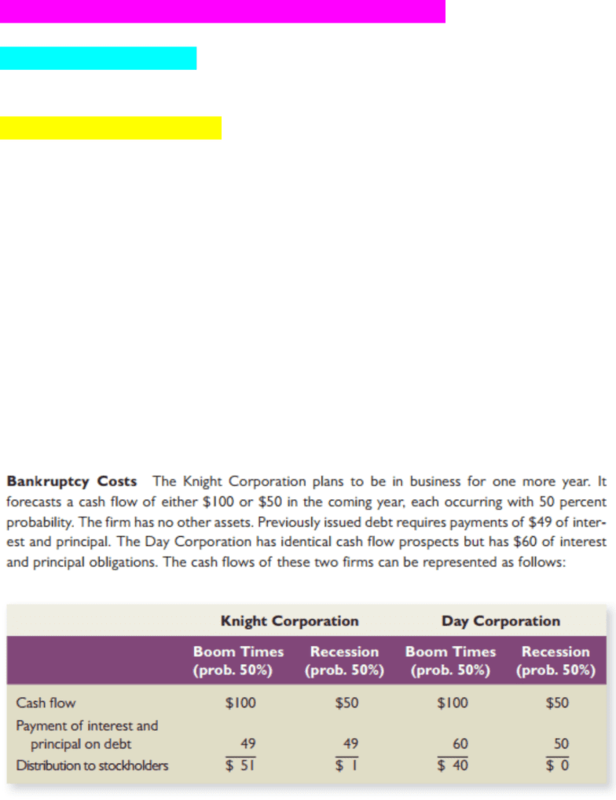 • As mentioned throughout the previous chapter, debt provides tax benefits to the firm. If these obligations are not met, the firm may risk some sort of financial distress. entitled to interest and principal payments. Week 7 lecture 7 (cid:3238) chapter 17: capital structure: limits to the use of debt. 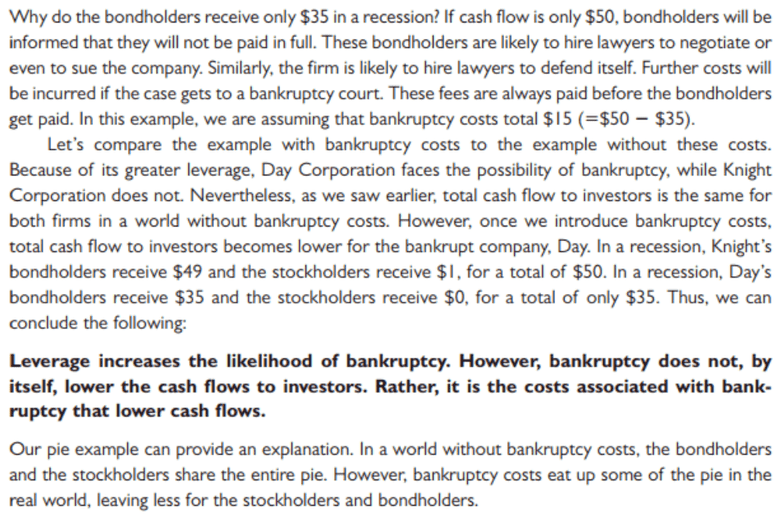 Bankruptcy risk or bankruptcy cost: as mentioned throughout the previous chapter, debt provides tax benefits to the firm. However, debt puts pressure on the firm because interest and principal payments are obligations. If these obligations are not met, the firm may risk some sort of financial distress: the ultimate distress is bankruptcy, where ownership of the firm"s assets is legally transferred from the stockholders to the bondholders. These debt obligations are fundamentally different from stock obligations. 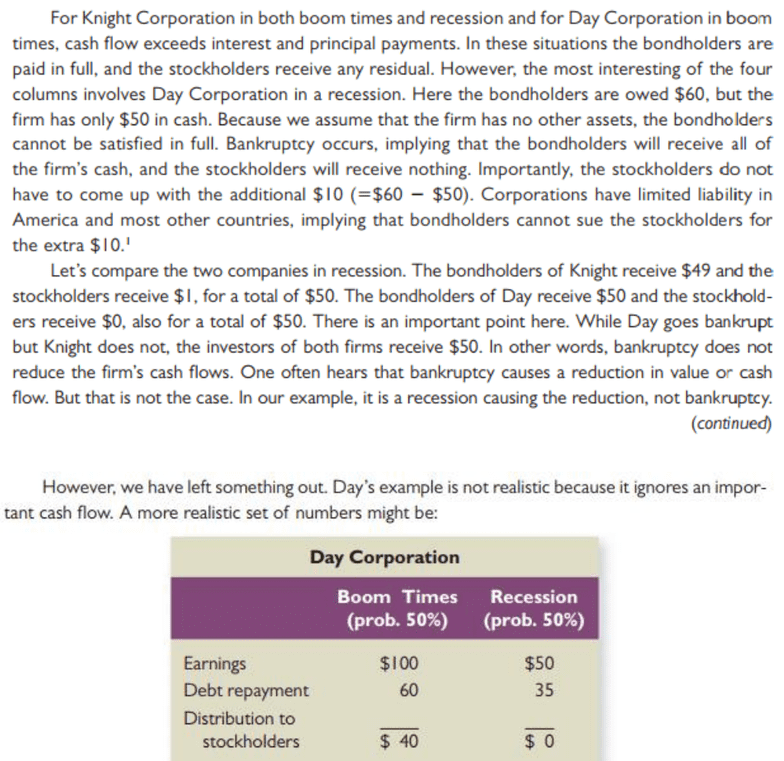 Although stockholders like and expect dividends, they are not legally entitled to dividends in the way bondholders are legally entitled to interest and principal payments. Interest from debts is tax-deductible, hence it is favoured to use debts to raise capital. In addition, we need to also consider personal taxes when considering the benefits of capital structure to investors.